Leaked plans by the US Navy to conduct SEAL training in public parks and residential areas of northwestern Washington state are making some residents uneasy. The military insists they are only in the preliminary stage, though documents imply otherwise. 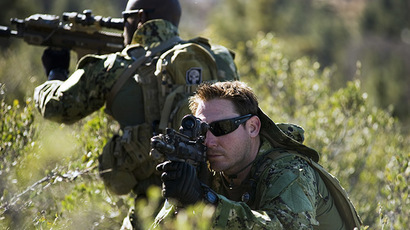 In documents recently revealed by investigative website Truthout, Naval Special Warfare Group 3 of the US Special Operations Command (SOCOM) requested “environmental assessment” and “necessary real estate support agreements” for training operations on the Olympic Peninsula, west of Seattle. 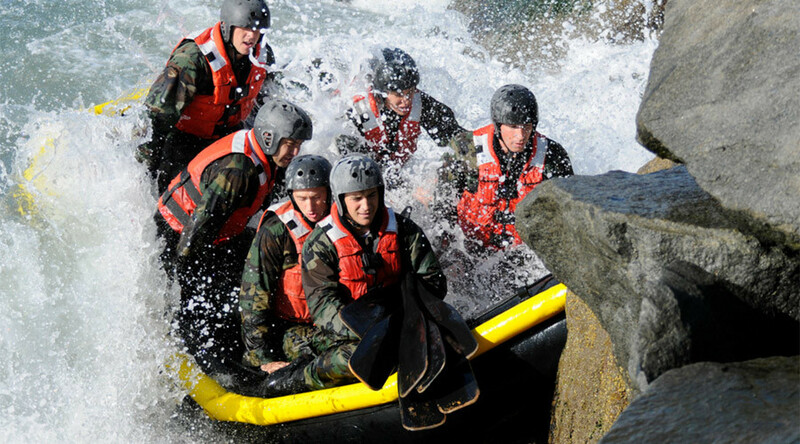 The two presentations list 68 sites in the Pacific Northwest for combat swimmer training, simulated assaults in urban areas, insertion or extraction, launch and recovery of boats, and beach infiltration. The Naval Special Warfare Command (NSWC), headquartered in Hawaii, said that the process was “in the very early stages of development,” and that later stages would involve getting feedback from the public. “The Navy is currently reviewing potential environmental, cultural and historic impacts of the type and frequency of training that is being requested,” said NSWC spokesman Lt. Commander Mark Walton, as quoted by the Sequim Gazette. Two of the Navy’s proposed training sites are near Sequim, a community of less than 7,000 people across the Strait of Juan de Fuca from Canada’s Vancouver Island. The Washington State Parks and Recreation Commission has not heard of any requests from the Navy to use the Sequim Bay State Park, spokeswoman Virginia Painter told the Gazette. However, the state did issue permits in 2015 to use five of its parks for training purposes. “They’ll be landing a small boat, remove the boat and take off,” Painter said, adding that there were no other pending permits for the Navy. Some environmental and civic association activists, however, are incensed by the Navy’s proposals. Sullivan, a former assistant regional director at the US Fish and Wildlife Service, takes issue with the Navy’s “kill teams” operating on public lands and in residential communities without proper notice. “We object to the Navy's apparent contempt for the laws of the land, and to the fact that the military is steadily moving off the millions of acres of land the public has given it for training, in order to practice warfare among us, the very citizens it is supposed to protect,” Sullivan said. One of the areas envisioned as a training ground for “direct action” is Fort Worden State Park, on the northeast tip of the Olympic Peninsula. A hill at the top of the park is a popular destination for hikers and picnickers, and features a seating area that the locals call a “peace park,” according to Truthout. The Navy’s plans for the park have alarmed environmental activists at the Olympic Forest Coalition. While understanding the importance of SEAL training, using Fort Worden would result in a “paradise ruined,” Connie Gallant, the board president, said. “Because Fort Worden was a military base long ago and is now a historical park, this may give the Navy a good excuse to reclaim it as yet another post/training area – thereby preventing us from enjoying our leisurely walks, exercises, environmental training of marine life, bird watching, photographing, and communing with nature," Gallant told Truthout. Over 100,000 people live on the Olympic Peninsula, and Olympic National Park receives three million visitors annually.